Katzentisch: Waiting for Spring - Again! Waiting for Spring - Again! Two weeks ago I wrote this. So, what now? This morning I had to shovel snow again :-( Makes me longing for fresh green even more. What on Etsy is a treasury is a collection on Artfire. A selection of (hopefully!) beautiful items, grouped together nicely. 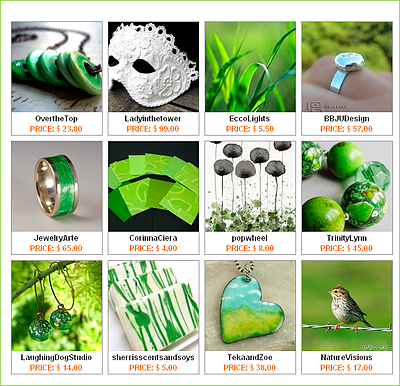 Collections on Artfire are much easier to create than treasuries on Etsy - technically. But when it comes to good photos - uh, there is still some need to catch up! Click on it to see it in full and to be able to get to the beautiful finds.